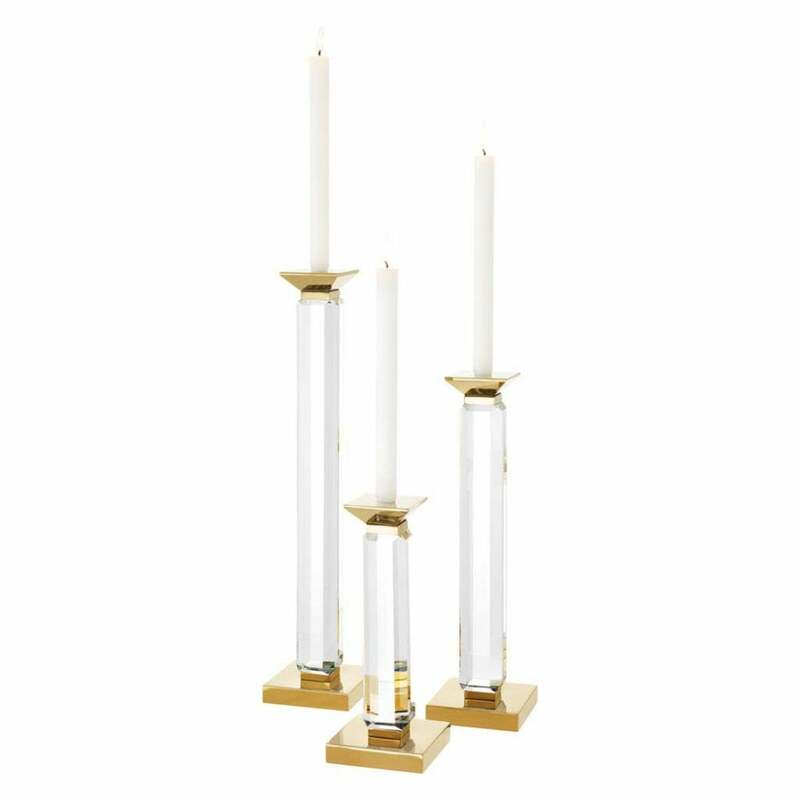 A modern interpretation of a traditional candle holder, the Livia set of 3 Candle Holders by Eichholtz will create a striking display in a dining or living room. Crafted in three varying heights, position together on a console table or coffee table to add ambience to the space. Choose from clear or smoke crystal glass with gold or nickel accents. The tall elegant stems are cut from beautiful crystal that reflect and refract light around the room. Sleek and versatile, this luxury accessory will suit a wide range of interior styles from chic and minimal to art deco glamour!